/FI/ Jari Haanperä is a light and video artist. 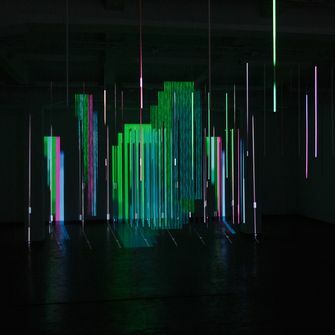 His installations are often moving pictures without film. 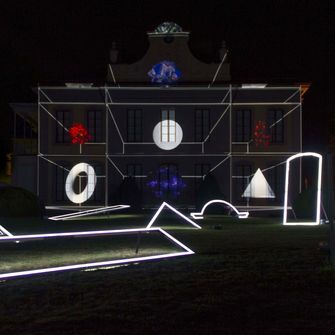 The artist combines simple display methods and low-tech methods with electric light, acoustic, electronic and digital sound, motorized movement, optics and objects. FYR is an homage to lighthouse beacons: fires and signals that light the way for nocturnal travellers. 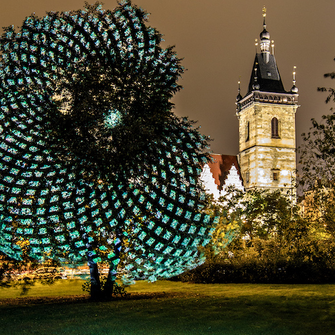 The installation comprises more than 200 storm lanterns and light bulbs. FYR is a lighthouse that shines slivers of light on to the walls of the courtyard.